Some of our readers have asked us about lawn mower grass catchers, so we decided to add a post about this topic. Essentially we are not big fans of using grass catchers attached to lawn mowers. We used one for over 30 years before converting to a lawn mower that mulches the grass clippings. Mulchers make it easier for the clippings to reintegrate with the lawn and return nutrients to the lawn. Many people like them and prefer to use the type shown on the left or larger ones if they have a riding lawn mower for example. We will examine some of the pros and cons of using a lawn mower grass catcher, to assist our readers in making their own decisions regarding which they prefer. There may be other issues that consumers have with grass catchers, however these are the main ones that convinced us to buy a self mulching lawn mower and leave the clippings on the lawn. You need to cut the lawn more often to avoid longer clippings, but it is easy to cut and can be done in half the time compared to emptying and bagging the clippings or raking the clippings left on the lawn. Most home owners are worried about grass clippings on their lawns because they are afraid that they will clog the grass and prevent growth. They are also concerned about the build up of thatch which may need to be removed at some point. The answer is that you can avoid bagging grass clippings if you follow a few simple rules. In fact you will be helping your grass a great deal. Since the grass clippings will add fertilizer back into the lawn contributing as much as 30% of the nutrient value that your lawn will need. If you avoid bagging grass clippings, you really save yourself some work. Also the hassle of disposing of the grass clippings. 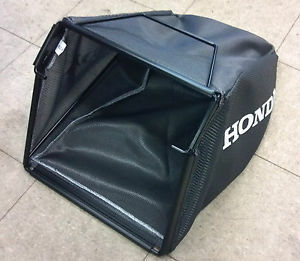 We used to bag the grass and used a grass catcher on our lawn mower. My kids still complain about the lawn mower. The heavy bags and the mess of grass that we needed to put out for the city to pick up every week. We use a mulching lawn mower now that is also self propelled. It is much less work even if I need to cut the grass more often. Lawn Mower Blade must be Sharp – make sure your blade is sharp so that it cuts the grass rather than rips the grass leaving jagged edges. Multching Lawn Mower – a blade for this type of lawnmower, if it is sharp will cut the blades of grass into smaller pieces and will enhance the decomposition process. Cut the Grass Often – Avoid allowing your grass to grow too long. Which in turn makes it more difficult to cut the grass and leaves clumps of cut grass. Cut your grass when it has grown an inch. Grass Needs to be Dry – Only cut the grass when it is dry. Your mulching lawn mower will do a much better job of cutting the clippings into very small pieces. Which will enhance decomposition of the grass. Yes you will cut your grass more often. But there is no comparison to bagging and disposing of the grass clippings. It is much easier to just cut the grass and let nature do the rest. It is time to start thinking about our lawns and getting them ready for the season. Winter is almost over and our lawns need lots of attention first thing in the spring to make sure that they stay healthy and look fantastic throughout the spring summer and fall. Chemical free lawn care takes a little more work then using chemicals, however it is much better for the environment and it’s much better and safer for your family. Clear winter debris from your lawn as the first step to getting your lawn ready for the season. There may be leaves that have fallen from the trees over the winter. As well as branches from trees, and other debris that has been blown in by the wind over the winter season. When the lawn is dry you may want to give the lawn a light raking. Remove any thatch that is preventing the grass drying and protecting mold that could be just under the surface. Complete repairs in many areas where the lawn has been hurt by Winterfrost. Or perhaps by animals that have made of your lawn a home over the winter. You will see these visible areas quite easily. They can be repaired by either placing new sod in large areas. Or spreading grass seed and topsoil in those areas that need to be reseeded. Add grass seed and top-dressing to thicken your lawn. This will also provide additional nutrients for the existing grass. Use a rake to spread the top soil on your lawn so that it does not become clumpy. 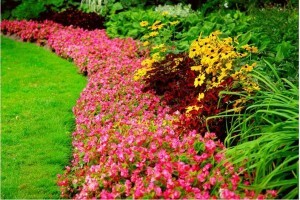 Fertilize with the proper kind of fertilizer that is suitable for spring environments. You will want to make sure that it is well spread so there is no chance of the fertilizer burning your lawn. The chemical free lawns also means that you cannot use chemicals to kill any weeds that may be in your lawn. This is where the extra work comes in. Hand pick weeds making sure you get the roots, and make a habit of once each week going over your lawn. Pull out any weeds that you see. After a few weeks you will notice that there are less and less weeds to be concerned about. Your lawn will be the envy of your neighbors, and you will have no weeds to be concerned about. While this may take a bit of work to get your lawn into top condition, once it is their routine maintenance takes only a few hours a week. Many people like to have someone do this work for them. But then think about the fresh air you are missing. The exercise and the satisfaction that you get from having a really great looking lawn. Continuous daily care of your lawn will ensure that you have a healthy weed free lawn. It only will take 10 minutes for the average home owner every day to look after their lawn. Natural lawn care services includes the cutting of your lawn, trimming of your lawn. Also adding lawn seed to thicken the lawn and also adding fertilizer to your lawn. They will also collect and dispose of any grass clippings that may need to be collected. Most people will use a mulching lawn mower. The lawn cuttings are put back into the soil and the nitrogen added back into the lawn. Note that if you do use a mulching lawn mower, the lawn should be cut more often. This will ensure that the mulching action of the lawn mower works properly. When the lawn is too long, the lawn mower will get clogged up. It will not cut the blades of grass into sufficiently small pieces. Removal and elimination of weeds can be a big problem for people. They may be trying to manage their lawn with organic lawn care techniques. What you have to do is individually pull every weed that you see. Make a routine out of it once a week going over your lawn. Remove all weeds that maybe have found their way into your lawn. Larger weeds such as dandelions are relatively easy to remove. However grasses such as clover and other small leaf weeds are much more time consuming and difficult. Removing weeds by hand can be labor intensive if you have a lot of weeds in your lawn. The best way to do it as we mentioned, is to once a week go over your lawn. Remove any weeds that you see. Over time you will find that there are less and less weeds for you to remove. Your grass becomes thicker and fights back against all weeds that could come into your lawn. When you remove weeds, make sure that you get the root as well as the top of the weed. Otherwise it will continue to grow. You can use a small tool such as a small chisel to dig out the root. There are weed removal tools that you can purchase at most hardware stores as well as do-it-yourself stores such as Lowes and Home Depot. These tools work well however if you are money conscious, pulling by hand using a small knife works just as well. The lawn care services companies will focus on keeping your lawn looking healthy and using a healthy lawn to fight back the weeds. In Canada, pesticides have been band so it is much more difficult for them to deal with weeds even if they are not into natural lawn. Weeds or grass between cracks of cement or bricks can be pulled or killed with a little bit of vinegar and water. This works really well, however you do not want to get any of the vinegar on your lawn or you will have a dead patch where you do not want it. 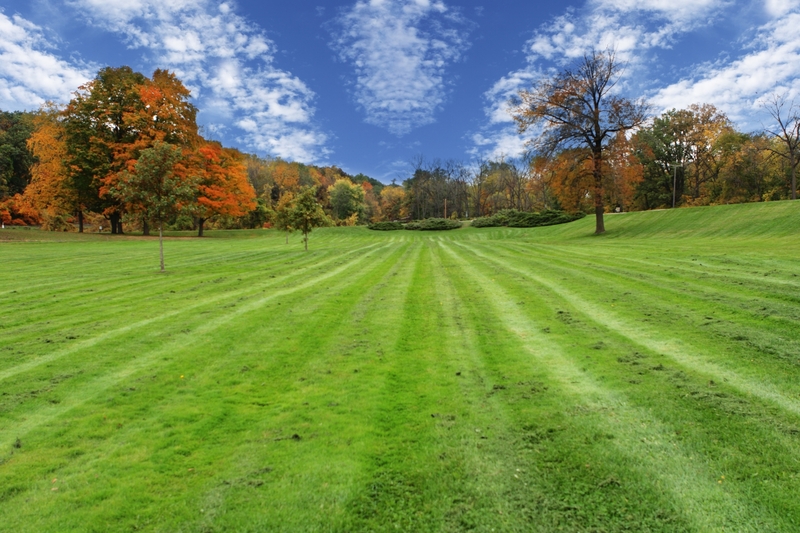 The bottom line for natural lawn care is lots of fertilizer, application of grass seed, regular watering and regular lawn cutting and you will have a strong healthy lawn that can fight back against all weeds that come into your area. With a little help by pulling the weeds that do grow, you will have a great looking lawn and be the envy of your neighbors. Some lawn care companies promote themselves as organic lawn care companies. All this means is that they will not use pesticides that are considered illegal by the government in your area. If you wish them to be truly organic you must discuss with them the actual chemicals that they will use on your lawn. 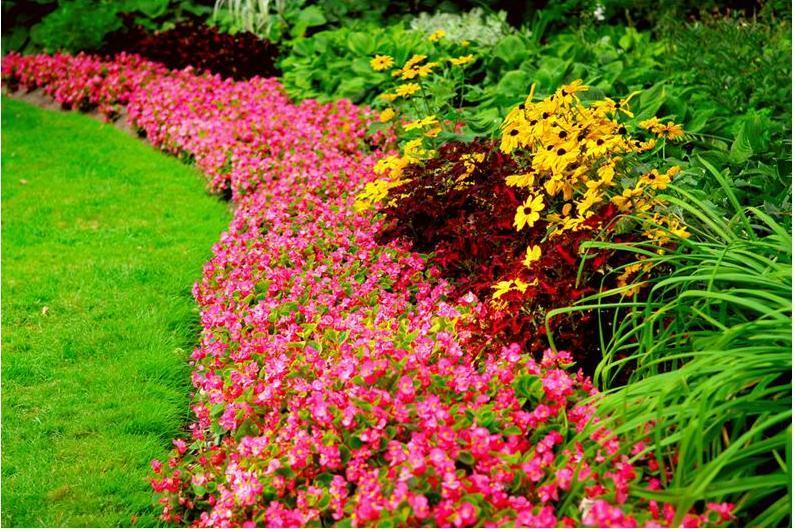 Discuss fertilizers and weed control to ensure that there are no in organic or non organic chemicals being used. In order for consumers to be truly organic about their lawn care, they should use mulching lawn mowers. They leave the grass on the lawn so that it will decompose and add the nitrogen back into the lawn. In addition there is no need to stop and bag your grass clippings to put out later in the garbage or to rake your grass clippings. Mulching your grass clippings in addition to being better for your lawn is a lot less work. The only negative that we can see is that you need to cut your grass a little more often. The mulch mechanism on your lawn mower works best when the grass has grown no more than one inch long. It is also not as hard on the blades of the grass plant itself. Mulching is just a great way to be organic as well as the practical aspects of lawn cutting and control. Weed control on your lawn is the biggest problem for most consumers who wish to be or have an organic lawn care company. Most people will have to go around individually and pull weeds so that they don’t proliferate. Dandelions are easy to get rid of in this matter however other weeds such as clover are very difficult to control. Clover is not really a weed, however many people would prefer that clover does not proliferate in their lawns. We go around once a week just before we cut the lawn and pull out all of the dandelions. I use a long sharp knife to get at the roots to pull them out root and all. Within a few weeks, of doing this there is seldom a dandelion to be concerned about. Pulling clover is much more difficult. A strong healthy lawn works best to control the clover and there are some home made remedies that can also be used to deal with clover. The important thing is to deal with it early to avoid clover taking over your lawn. A nice thick lawn will ensure or at least make it more difficult for the weeds to get a foot hold in your lawn. It only takes a few minutes once a week to do all of this work. If you truly want to have an organic lawn, consumers must be prepared to spend a lot more time doing their own work. Control the weeds and make sure that they have a healthy strong lawn that will defend itself against weeds as well. Some consumers will hire lawn care companies that use organic materials to control the weeds and ensure a healthy lawn. Personally I like to do this work myself, enjoy the time outdoors and save a bit of money at the same time. It is very easy work, good exercise. Frankly I would rather do this than go to the gym. We see a lot of lawns where the owners have allowed them to become full of weeds. They may get discouraged once weeds appear to take over. However if you get out there and deal with the problem, it will only take a few weeks to get your lawn back. Deal with the weeds, add grass seed and some top soil and fertilizer. It will not be long until you have a great looking lawn. 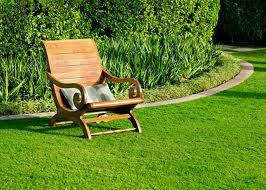 Organic lawn care service pretty much means no pesticides are going to be used on your lawn. Some companies will not even use fertilizer made from chemicals. Instead they will use organic fertilizer that is made from organic materials and spread on your lawn. Is organic lawn care service effective? The answer is yes it can be. However consumers should be aware that more work is going to be required to keep your lawn looking great. The lawn in this picture is obviously in great shape, nice and green, but not thick or lush. 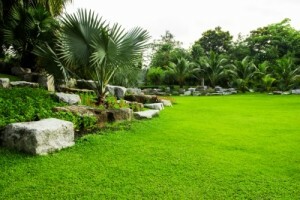 It is so large that it is not practical to water this lawn which could also be very costly. Consumers with lawns such as this one will need to take steps to protect the lawn during fry periods. For example when rain is not forecasted for several weeks, your lawn will go into a dormant phase to protect itself. Ensuring that the grass is left an inch longer will provide more shade for the roots. It will also delay the drying out of the ground and the roots longer. Longer roots will also help the lawn survive dry periods as well. Application of fertilizer that promotes root growth will certainly help a lawn like this survive the dry periods. Weeds will be a big problem for lawns that are using an organic approach to lawn management. The only real defense is a lush thick lawn that provides little room for weeds to take hold and grow. You will still find weeds and these should be pulled manually. Pulling weeds is not a fun task, however for smaller lawns a few minutes each week spent pulling weeds will help to keep them under control and avoid weeds taking over your lawn. Organic fertilizer can be applied to promote growth of your grass which will also help the weeds to grow as well. Sowing grass seed and applying a thin covering of black earth in the spring will help to promote a thicker lawn which will also help to control the weeds and deliver a beautiful lawn. There is no doubt that by avoiding the use of pesticides means more work for home owners; however it also protects the environment and the animals in the fields and streams around your area, not to mention your kids that play on the lawn. Pesticides have been known to cause cancer and other problems especially in young animals and children. What is a little bit of extra work when you can protect your family and those around you? A contract with one of these companies is no different from any other contract. List all services that they will provide. Include the timing of these services. For example, when will they be provided and how often and of course the price. Pay attention to how they will control weeds. What activities that you the consumer must follow to ensure that you have a healthy lawn and control the weeds. Many companies will provide some of the services. But they expect the customer to water the grass at appropriate times. Also to pull weeds and to mow the lawn at the appropriate height for the conditions that exist. This is part of the contract between you, the organic lawn care service and your lawn if you want to have a healthy rich looking lawn. If you are expecting to just turn the lawn over to the organic lawn care service, take the time to understand exactly what they will be doing and how they will maintain the lawn in the manner that you are expecting. What is purely organic lawn care? We are seeing this term more and more in the industry and the writer actually had a difficult time finding out just what is really meant by organic lawn care. Here is the definition that we were able to come up with for organic lawn care after searching quite a few web sites. Organic Lawn Care – the process of maintaining a healthy lawn without using chemicals such as fertilizer, herbicides or pesticides. The term organic actually refers to material that is made up of carbon based compounds from living organisms. Organic fertilizers are produced from these types of materials. More and more towns and cities, even some provinces in Canada have banned the use of chemical based pesticides and herbicides for use on home owner lawns. This has left many lawns full of weeds and the grass looking unhealthy. Some homeowners are unwilling to explore ways of managing their lawns or spending the time it takes to have a healthy lawn. The term, purely organic lawn care, has become a marketing term as well for many lawn care companies who promote their services as well. What is the average home owner supposed to do and how can they maintain their lawns without using chemicals? How can they have that green healthy lawn that looks great and makes our homes look fantastic as well? We have found many tips for maintaining your lawn. Get rid of the grubs in the soil. They attract raccoons and moles as well as eat the roots of the grass. This is a rather long list; however these various steps do work and provide a healthy looking lawn. Some homeowners may find that it takes a little more work than they are used to, however avoiding the use of pesticides is a very positive thing since these chemicals can cause various medical conditions in humans including cancer. We want to keep these chemicals out of our food and water supplies as much as possible. For more information about organic lawn care, click on the link. Working outside on your lawn will also give you some exercise and contribute to the vitamin D that we all need in our bodies. We have noticed of late that many people seem to have given up on their lawns now that pesticides are banned in our area. They are full of weeds, particularly dandelions which just look awful. A few hours a week of work on your lawn can make a huge difference to the health of your lawn as well as contributing to the value of your property!